I have transcribed the names of passengers listing either GREECE as their place of birth, or GREEK as their nationality. The names found in the index are linked to actual images of the passenger lists, digitized from National Archives and Records Administration (NARA) microfilm. 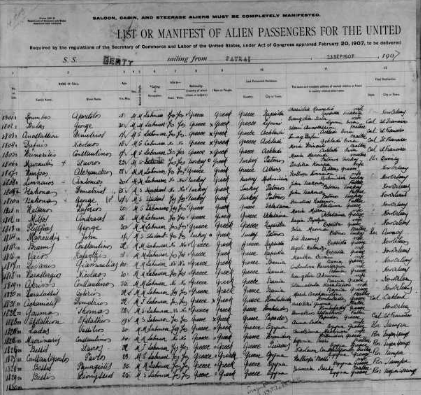 You can visit the website National Archives - Immigration Records (Ship Passenger Arrival Records) for further information. Due to the ever changing nature of the internet, there may also be other resources available where you can view these images.